One of Split's most recognizable landmarks, this towering work makes a strong impression when you gaze at it. 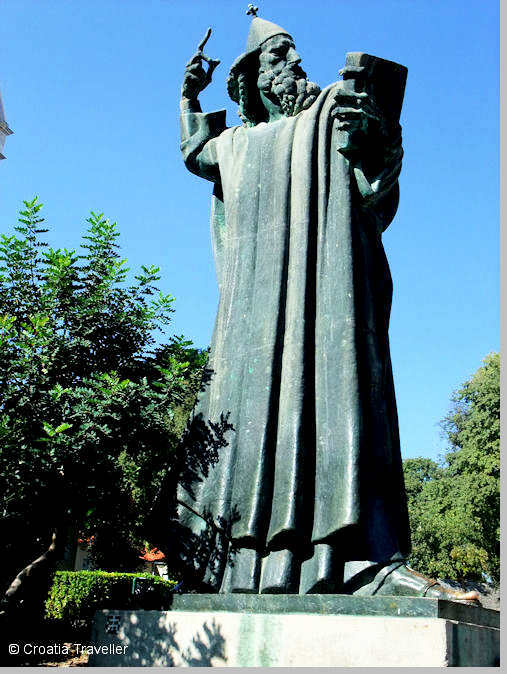 Sculpted by Croatia's most celebrated artist, Ivan Mestrovic, the statue is of Grgur Ninski or Gregory of Nin, the 10th-century bishop who insisted on the right to use Croatian in liturgical services. Rubbing his big toe is said to bring good luck. Originally the work was placed in the Peristyle of Diocletian's Palace in 1929 in memory of the 1000-year Church Council of Split. The sculpture was moved when Split was occupied in 1941 and then finally set in its current place in 1954.